13x5x22cm. 22 cm long (8.5 inches). 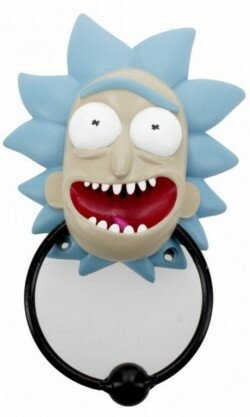 Rick head with metal knocker. Bracket on the rear. Fixings included.